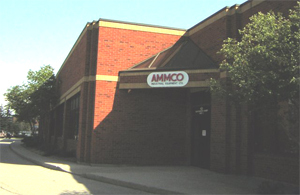 Established in 1956, AMMCO specializes in providing the Canadian metalworking industry with a broad range of HIGH QUALITY tooling and machine tool components manufactured by leading companies around the world. As one of the leading industrial distributors in Canada, AMMCO has built its reputation by providing the BEST PRODUCTS available, along with unsurpassed service. Our products are used by some of the largest companies in Canada and throughout all levels and types of industry. The AMMCO TEAM is committed to serving your industrial needs. Our extensive, practical experience with metalworking tooling, machine tool components and accessories has enabled us to be one of the BEST in the Canadian marketplace today!